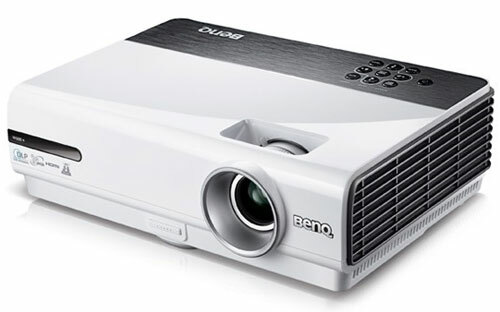 BenQ is making it easier for us to enjoy 3D entertainment from the comfort of our home with the new 3D W600+ projector. The W600+ features a 2600 ANSI lumen brightness, 4000:1 high contrast ratio. With two built in 2W speaker to offer sound as well. In a proper home theatre you might need your own high performance sound system to get the 3D sound effect as well. For connectivity the W600+ has two HDMI ports for hassle free, simultaneous hosting of your favourite digital device such as Blu-ray player and gaming console. There is audio in/out, infrared, L-audio-R, USB and more. With the BenQ W600+ projector all you need are the 3D Glasses (not included), the movie and some good company.